Based out of Baltimore Maryland, Attorney Marc Atas represents clients from Baltimore City and the surrounding areas, including Baltimore County, Carroll County, Howard County, Harford County, Anne Arundel County, Montgomery County, Prince Georges County, Western Maryland and the Eastern Shore. 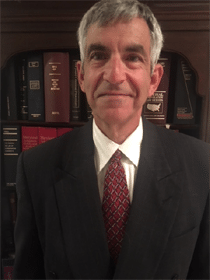 Marc J. Atas is admitted to the Maryland Bar, and practices in federal and Maryland state court. He is also a member of the Baltimore City Bar Association, Maryland Bar Association, and the Maryland Association for Justice. If you live in Maryland but were in an accident while you were in another state, The Law Office of Marc Atas and Associates will represent you for your personal injury, car accident, truck accident, automobile accident, and property damage claims. While we are only licensed to practice law in the State of Maryland, we can do the following legal activities on your behalf. The Law Office of Marc Atas and Associates can resolve your car damage claim, diminished value of car claim, make sure you receive timely medical treatment, aid the insurance company in accepting liability, take statements from witnesses, obtain police reports and finally attempt to settle your claim. If we are unable to settle your claim, we will locate counsel in the appropriate state to file suit and go to court on your behalf. The attorney fee arrangement will remain the same even if additional counsel is necessary and will not result in any additional fee. The personal injury, car accident, truck accident, and automobile accident laws in Pennsylvania are complicated. I have outlined the basic laws that apply when involved in personal injury, car accident, truck accident, or automobile accident in the each state. The Law Office of Marc Atas and Associates is prepared to provide out of state representation and assist clients from outside of the State of Maryland who are injures in a car, truck, bus, or motor cycle accident or work- related accident in the State of Maryland. The Law Office of Marc Atas and Associates understands the challenges for out of state clients and we are experienced at representing them, often without it being necessary for out of state clients to return to Maryland for an appearance in court. The Law Office of Marc Atas and Associates is prepared to provide representation and assist clients who are injured in a car, truck, bus, or motor cycle accident or work- related accident caused by the Federal Government, United States Post Office, State of Maryland, Maryland Transit Administration, County or City Government or local school board employees. The Law Office of Marc Atas and Associates understands the challenges involved in suing these government entities and we are experienced at presenting and prevailing in those claims.